"I opted for the premium model!" I had the opportunity to speak with a sales consultant, who offered me a great price for the 2014 Impreza Limited Package! 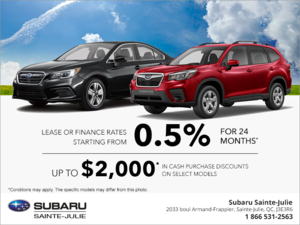 Thank you to the sales manager and the employees of the financing department from Subaru Sainte-Julie.